This is the story of the most powerful man you’ve never heard of. 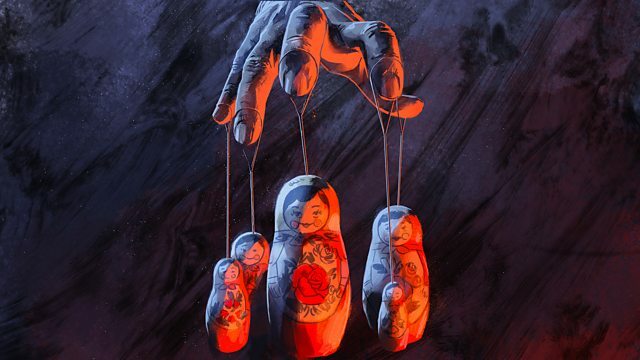 The Puppet Master is a series that gets to the bewildering heart of contemporary Russia by exploring the fortunes of a secretive, complicated and controversial man called Vladislav Surkov. Reporter Gabriel Gatehouse speaks fluent Russian and has access to a vast cache of leaked emails from Surkov’s Kremlin office. Using these, plus archive and sources gained over a decade of covering Russia and its wars, Gatehouse goes in search of the man pulling the strings. The journey is by turns dramatic, surprising and surreal, ranging from the battlefield to the theatre and the Kremlin itself. The destination? The post-truth world we inhabit today. A rich selection of documentaries aimed at relentlessly curious minds. Get new documentary podcasts every Tuesday and Friday. Even more seriously interesting documentaries from Radio 4. Fi Glover and Jane Garvey roam the fields of broadcasting talking to interesting people.